All LCL Beauty Elite series salon machines are top-quality machines utilizing the facial industry's most advanced technology to bring you a top-notch Industrial machine. LCL Beauty Elite series machines have backlit digital LCD displays for easy reading and operation. Each machine has gone through a rigorous design and test process to ensure you the highest Industrial quality with maximum ease of use for your salon or spa. Infrared Sauna Blankets are a popular new salon and spa treatment option that will offer a relaxing, luxurious treatment for your clients. 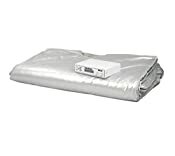 The blanket utilizes two layers of infrared heat for your client and offers many beneficial effects. 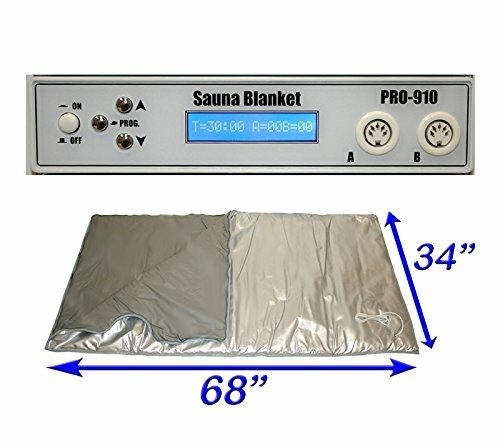 Sauna blankets often are used in conjunction with wraps (such as seaweed wraps, mud wraps, or salt scrubs) and with serums and oils to open pores and facilitate absorption and effectiveness of these Infrared European Sauna Blankets.